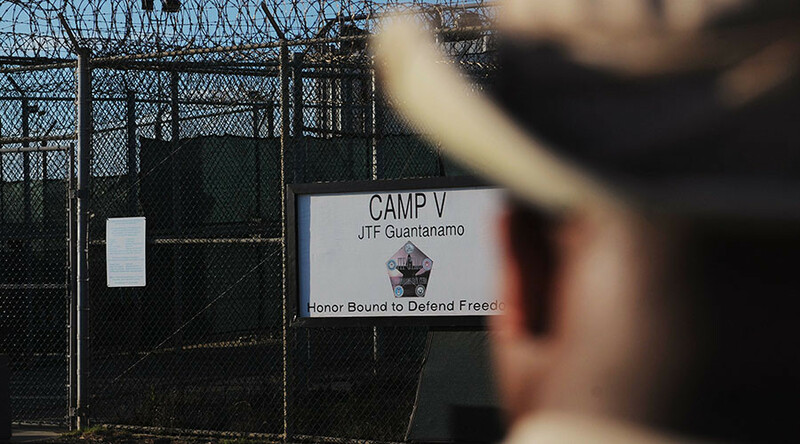 The Pentagon has been “thwarting” the president’s plans to close the Guantanamo Bay prison for years, Reuters revealed, reportedly creating bureaucratic obstacles and showing reluctance to cooperate with foreign countries looking to accept prisoners. The Pentagon has been refusing to provide photographs, medical and other records requested by foreign governments in order to process prisoners’ transfers, unnamed administration officials told the news agency. In other cases, the Defense Department made it difficult for delegations to visit the prison at the US Naval Base at Guantanamo Bay, Cuba or banned them from staying overnight, a privilege that visiting officials used to have. Even when foreign delegations were allowed into the detention facility, their interview times with prisoners were severely cut to less than an hour, making it tough for officials to assess potential transfers, Reuters reported. In some cases, including one in which Kazakhstan initially wanted to take eight prisoners, the White House had to intervene repeatedly to speed up the transfer process. Citing “multiple current and former administration officials,” Reuters says the Pentagon banned the delegation from videotaping the interviews, undermined plans for a mult-day visit, shortened detainee interviews and put new restrictive classifications on documents requested by the Kazakhstanis. As a result, the Central Asian country ended up taking five prisoners in December, nearly a year after starting the process in early 2014. With all these obstacles from the Pentagon, “it is increasingly doubtful that Obama will fulfill a pledge he made to close the detention center," the news agency concludes. There are currently 107 detainees remaining in Guantanamo, down from 242 detainees in 2009, when President Obama took office. By contrast, the Bush administration, which Reuters stressed “faced no political opposition on transfers,” moved 532 detainees out of Guantanamo in six years. The Pentagon’s reluctance in approving transfers and slow pace reportedly directly affected the reshuffle at the DOD in February this year. According to Reuters, it was a factor in President Obama’s decision to remove former Defense Secretary Chuck Hagel and appoint Ash Carter. The latter has not avoided Obama’s scolding, though. In September, the president allegedly reprimanded Carter for slow progress on Guantanamo transfers during a one-on-one meeting. "Look at where most of the casualties have come from – it's the military," Hagel said in an interview, referring to US forces and attacks against American troops. When reached for a comment, the Pentagon denied that delays were intentional. "No foreign government or US department has ever notified the Department of Defense that transfer negotiations collapsed due to a lack of information or access provided by the Department of Defense," said Pentagon spokesman Gary Ross. The White House also appeared to dismiss the idea that there has been any sort of disjunction with the Pentagon. "We're all committed to the same goal: safely and responsibly closing the detention facility," Myles Caggins, a White House spokesman, said. Since Obama’s criticism in September, the Pentagon has showed a better cooperation: In January 17, detainees are expected to leave Guantanamo. With less than a year left until his departure from the Office, Obama hopes to strike a deal with Congress, which strictly opposes closing the prison, citing a threat to America. Closing Guantanamo Bay was one of Obama’s major promises in the 2008 presidential race. At the time, he argued that the prison was used as a terrorist propaganda tool. In March this year, Obama explained his regrets by saying: “I think I would have closed Guantanamo on the first day … I didn’t at that time because we had a bipartisan agreement that it should be closed."